beeldbewerker london pub bow bells You can't really miss the Bow Bells. Imagine a radioactive carrot in a high-vis vest, then increase the colour saturation. The inside is more muted in tone, with a fairly standard mid-20th century interior. There's much to recommend here, though. First and foremost, the room feels convivial, with just the right amount of buzz, and a thoroughly mixed age range. We're heartened to find a working pool table, too. We inadvertently timed our most recent visit to coincide with the weekly quiz, and then accidentally won... which didn't hurt our appreciation of this classic old pub. 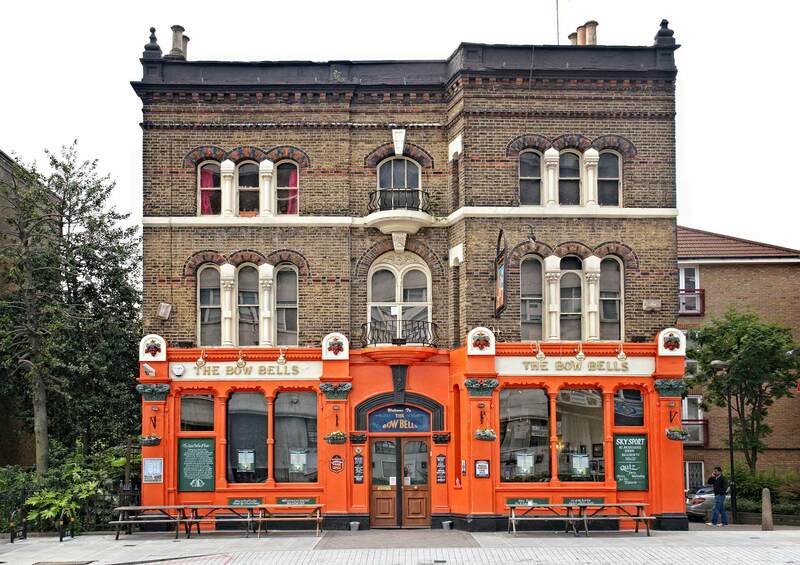 The Bow Bells is also noted for its haunted ladies toilet, which has featured in numerous credulous TV shows. A sign above the door warns patrons to 'beware of the ghost'. The gents is far more interesting, with an alternative tube map depicting sports stars.